Do you dare enter the Woodlands? As the last livable spot on Earth, it's the only home Rosa and Joseph have ever known. But now they need to escape, or Rosa will be trapped forever in a horrific government program. A dystopian page-turner with over 750 five-star ratings on Goodreads. 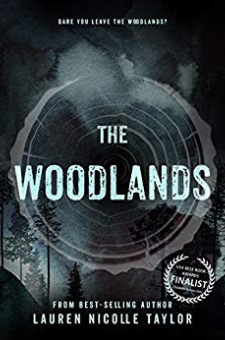 The Woodlands Series is perfect for fans of The Hunger Games by Suzanne Collins, The Divergent Series by Veronica Roth, and The Jewel Series by Amy Ewing. Rosa never thought she’d make it to sixteen...When being unique puts you in danger and speaking your mind can be punishable by death, you might find yourself fighting to survive. Sixteen-year-old Rosa lives in one of the eight enclosed cities of The Woodlands. Where the lone survivors of a devastating race war have settled in the Russian wilderness because it’s the only scrap of land left habitable on the planet. In these circular cities, everyone must abide by the law or face harsh punishment. Rosa's inability to conform and obey the rules brands her a leper and no one wants to be within two feet of her, until she meets Joseph. He's blonde, fair-skinned, green-eyed, and the laid-back complete opposite of Rosa. She's never met anyone quite like him, and she knows that spells danger.But differences weren't always a bad thing. People used to think being unique was one of the most treasured of traits to have. Now, the Superiors, who ruthlessly control the concrete cities with an iron fist, are obsessed with creating a 'raceless' race. They are convinced this is the only way to avoid another war. Any anomalies must be destroyed.The Superiors are unstoppable and can do anything they want. After all, they are considered superheroes by the general public. But not everyone sees them this way. When they continue to abuse their power by collecting young girls for use in their secret, high-tech breeding program, they have no idea that one of those girls has somehow managed to make friends even she didn't know she had. And one man will stop at nothing to save her.